Tiny speakeasy Junior unveils Pacifica, the third iteration in its revolving drinks concept that pays homage to tropical Tiki escapism. For a minuscule little bar – it seats barely 10 people – Junior punches way above its weight. 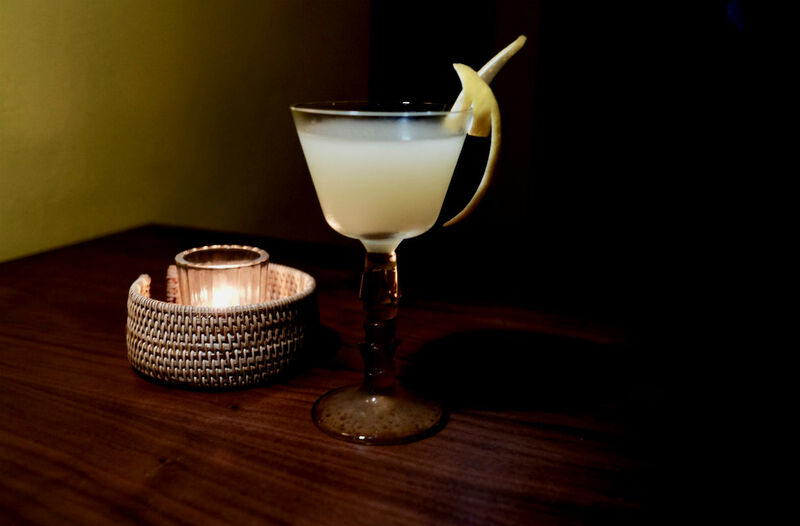 Operated by bar consultancy experts Proof and Company, Junior is their way of experimenting with drinks concepts that would be impractical – or expensive – for big bars to pull off. Its first concept at launch was “Norma”, introducing top-quality agave spirit-based cocktails to a market more used to cheap tequila. Then there was “Magnolia” last year, its interpretation of a New Orleans experience. This time though, it’s Pacifica – and one that seeks to reinvent the much derided Tiki experience. For those not too familiar, Tiki culture started in America near the end of the Great Depression and just after Prohibition. These exotic tropical nightclubs would enchant a people seeking escapism and exoticism (the strong drinks helped too). But it was also totally fabricated. The island decor and rum-laced drinks in ceramic cups that defined the concept were mere constructs of two men. Ernest Gantt and Victor Jules Bergeron were both fairly well-travelled men; they brought many ideas from their frequent trips to far-flung places back to the States. 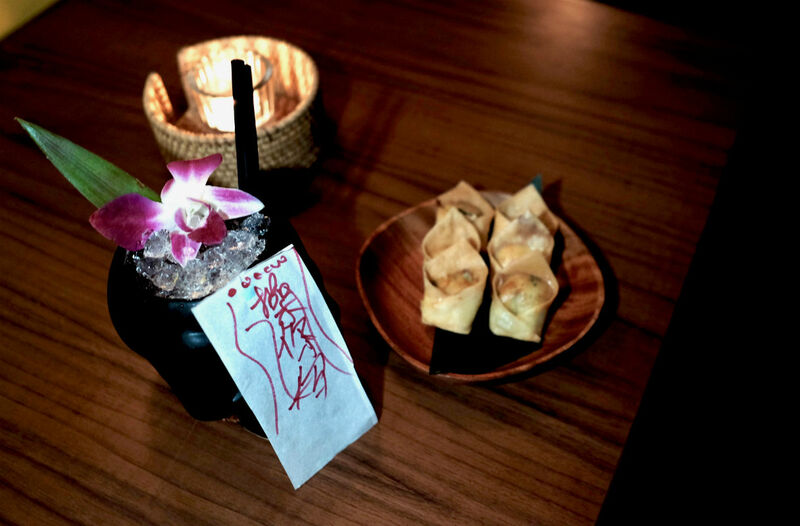 Both ultimately opened up their individual bar restaurants with concepts that mashed up Caribbean and South Pacific cultures (and more). Don the Beachcomber by Gantt – later Donn Beach – and Bergeron’s Trader Vic’s would mesmerise an entire generation with their offerings of exotic cocktails and outlandish eats. Both would also claim to have created the original Mai Tai, the quintessential Tiki cocktail. Today though, only Trader Vic remains from that definitive era. People are far more well-travelled, and this pseudo-subculture no longer as mysterious. All of which doesn’t explain why Junior has taken on itself the task of rejuvenating the Tiki craze. Could it be that Proof and Company has a surplus of rum? Or has Junior head bartender Peter Chua gotten an obsession for using tropical fruit juices in his concoctions? What we do know is that the cocktails – divided into four sections ‘Legends of Liquid Lore’, ‘Apertiki’, ‘Traditional Tipples of the Tropics’ and ‘Progressive Potions of Pacifica’ – are incredibly well-researched when it comes to those vintage classics, and extremely innovative with more modern interpretations. They are incredibly boozy too. Take for example the classic Zombie ($25++). It employs three different rums plus falernum, a combination that would threaten to knock anyone out in an instant. Junior’s contemporary Zombie take, Return of the Jiangshi (S$25++), mixes mushroom-infused rye whiskey and mezcal for a similarly potent tipple. The beloved Tiki classic Mai Tai ($25++) too – which replicates Trader Vic’s iconic version from 1944 – is likewise punchy with (also) a base of three different rums. For something less strong, the Pāhoa (S$21++) is a refreshing Tiki version of the Aperol Spritz. Our favourite from the new Pacifica menu though has to be Pakele ($25++), a Manhattan with a Tiki makeover. If there’s one thing you have to order from the food options, it’s the Crab Rangoon ($12++). We’ve never seen the iconic American-Chinese snack here in Singapore, but we’ve heard gastronomic horror stories. But this version with fresh crabmeat, cream cheese, chives wrapped in wanton skins and deep fried is deliciously moreish. We’ll miss the jambalaya from Magnolia, though. Junior’s Pacifica isn’t Singapore’s first Tiki concept (Bob’s Bar at Capella Singapore comes closest to a modern Tiki experience). And there are always a Tiki drink or two on menus in most cocktail bars around town. Whatever their motivation, Junior’s Pacifica may just be the thing to make Tiki great again.